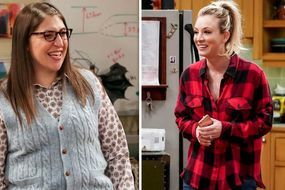 Known as Penny Hofstadter (played by Kaley Cuoco) after her marriage to Leonard Hofstadter (Johnny Galecki), fans have never been told of her maiden name. There is a reason why it has not been shared and it has been confirmed that fans will be left tormented forever and will never find out her maiden name. With the show ending on May 16, fans will be left disappointed that they will never solve the conundrum. Molero also revealed it would be “cool” if Jim Parsons, who plays Sheldon Cooper, was to join the cast of a future spin-off.